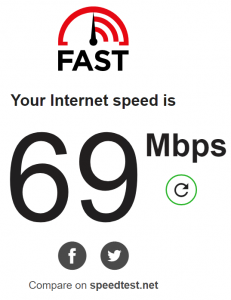 A few months ago we upgraded to Charter’s Business-class internet – basically the same 60Mbps residential service but with a static IP. Chatting with the tech, he said I should pick up this tiny little router called the EdgeRouter X because it supported a “million packets per second” and would work well for me. 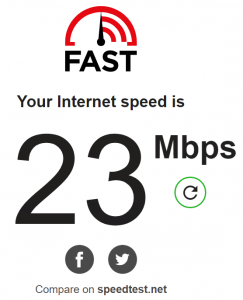 I had no idea if 1,000,000 PPS was good or not, but it didn’t matter because as soon as the install was done I plugged my laptop into the cable modem and was pulling down almost 70Mbps! I powered everything down and put my hodgepodge of network stuff back into place. Everything was A-OK, or so I thought. 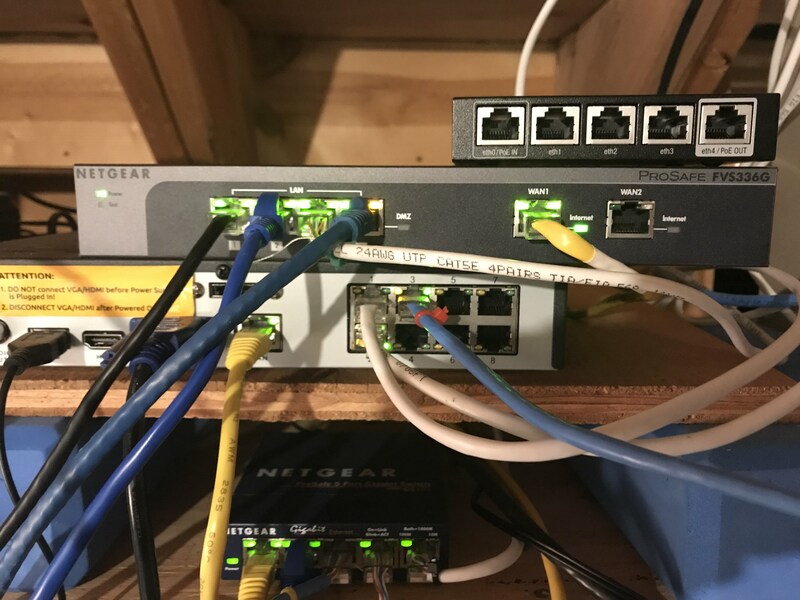 From the top – EdgeRouter X, Netgear FVS336G, security camera NVR, and a Netgear switch. Not pictured is the Wifi AP & a couple more runs of cat-5e. Fast forward a couple months. 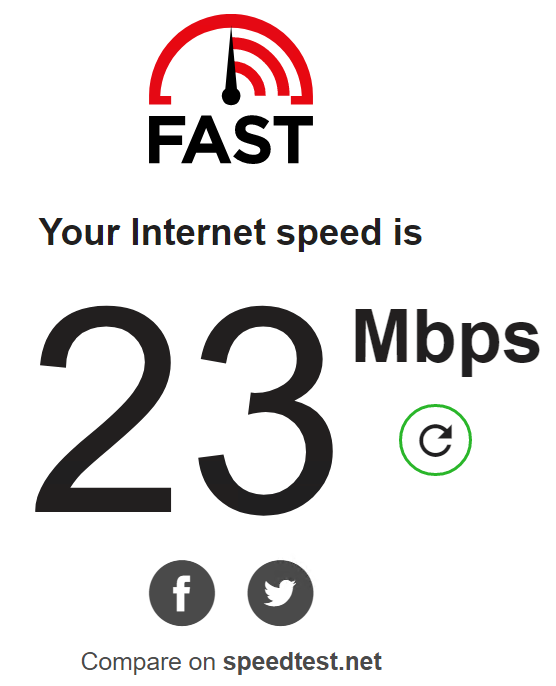 While troubleshooting some slow download speeds for work, I stumbled upon the fact that my home Firewall/VPN appliance (the FVS336) was choking my internet speeds down to ~25Mps instead of the 60-70 that I’m supposed to get. I recalled that “one million packets per second” nugget of information from my brain’s cold storage and started doing some research. It turns out this EdgeRouter thing is actually a beefy little device cloaked in a $50 price tag. I pulled the trigger. This is not your run-of-the-mill consumer grade device. I expected DD-WRT on steroids, but it’s WAY more than that. When it comes to tech, I can talk the talk, and occasionally even walk the walk, but I’ll be the first to admit – I didn’t know what the hell I was doing with this router. There’s knobs for things I’ve never heard of. 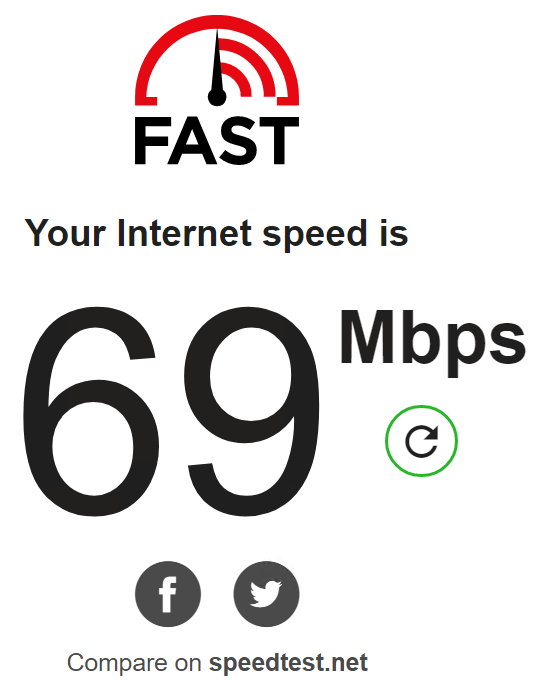 I resorted to Google-Fu to get the port forwarding setup (I was making it overly complicated), and I’m back in business. I’ll tackle the VPN some other time (when it’s not 1 in the morning).